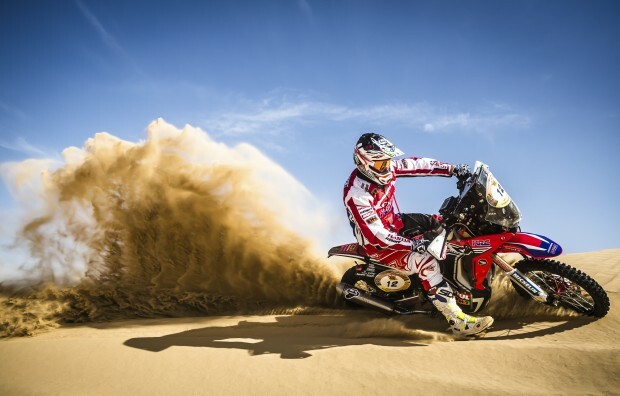 A sandstorm puts paid to the Abu Dhabi Desert Challenge 2015. Race authorities, unable to offer the riders adequate measures of security, decide to cancel the final stage before the race start, therefore meaning yesterday’s final results stand. Ricky Brabec wins the junior category and finishes fifth in the general… read more. 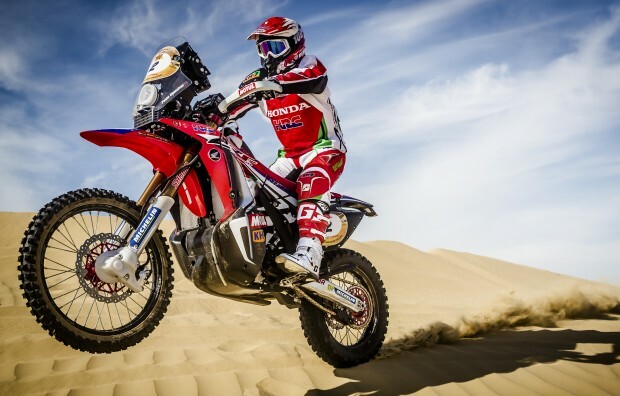 The penultimate day of racing at the Abu Dhabi Desert Challenge failed to produce the kind of results that Team HRC had been hoping for; Barreda, opening the track, took sixth place; Brabec finished seventh. Paulo Gonçalves was unable to make it through the special stage. Team HRC, who had… read more. 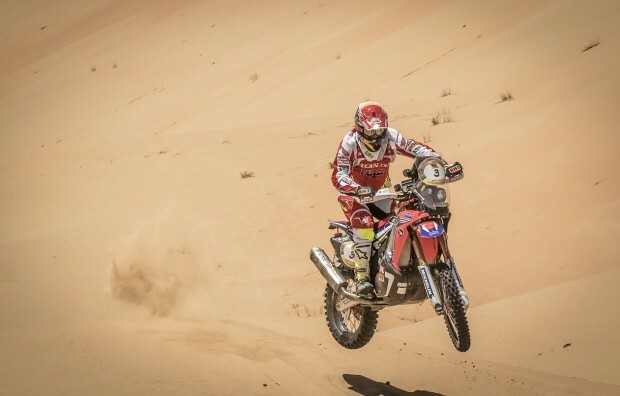 Portuguese rider Paulo Goncalves grabbed the third stage victory in the Abu Dhabi Desert Challenge, climbing up one place into second spot in the general rankings. 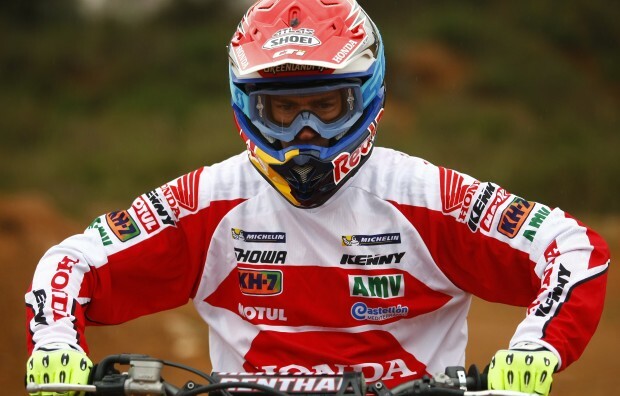 Noteworthy specials too from Barreda – home in fourth – and Brabec in seventh. 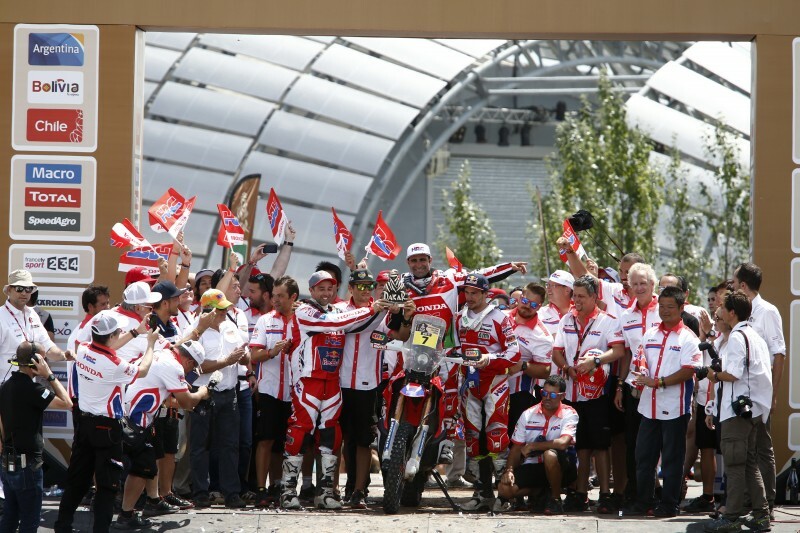 The Honda CRF450 RALLY was back in a starring role… read more. 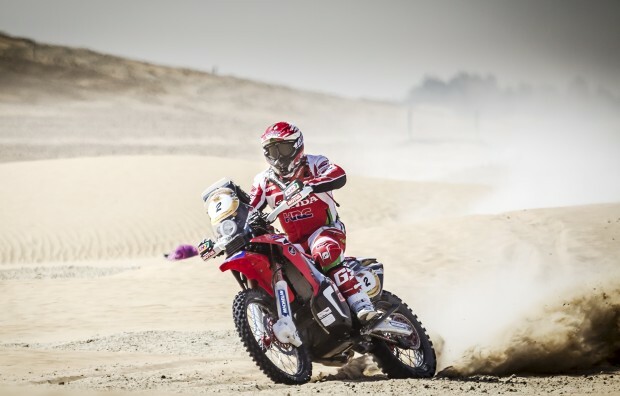 Shaking off yesterday’s troubles which ruled out any chance of winning the overall rally, Joan Barreda today re-established himself with a second-stage triumph in the Abu Dhabi Desert Challenge. Paulo Gonçalves remains in third and Brabec finishes among the top riders. 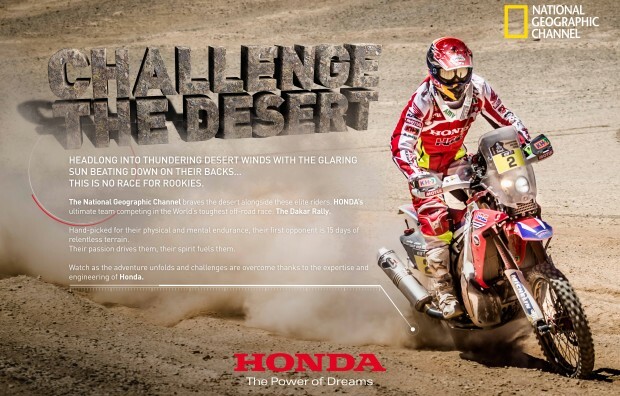 The longest stage in the Abu Dhabi Desert Challenge… read more. 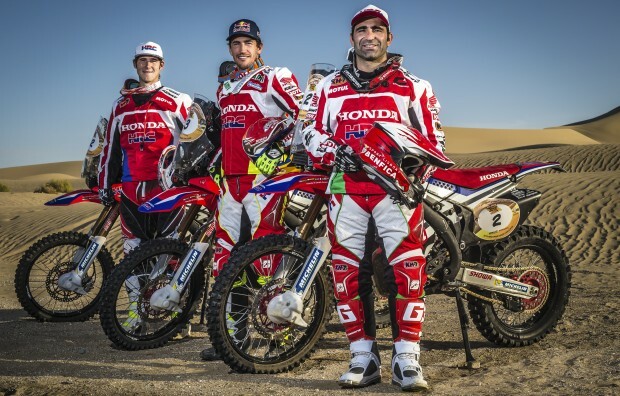 Team HRC overcomes various setbacks to make it through the first day of the Abu Dhabi Desert Challenge with Paulo Gonçalves and Ricky Brabec finishing the special among the front-runners in third and fifth respectively. The asphalt of the Yas Marina circuit in the pre-rally build-up has given way to… read more. It will be symbolic special stage at the Yas Marina Circuit in Abu Dhabi that raises the curtain on the 2015 FIM Cross-Country Rallies World Championship. Paulo Gonçalves will be out to defend his victory in last year’s edition. With the competition now celebrating twenty-five years of history, including twenty… read more. The action returns once more as we bid farewell to silly season. 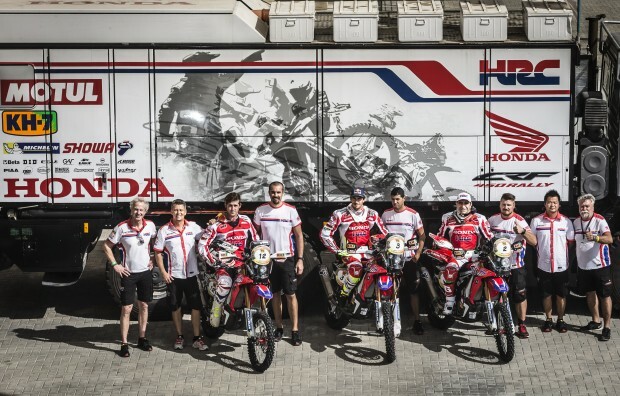 It will be sand, dunes and competition galore as the first race of the FIM Cross Country Rallies World Championship – the Abu Dhabi Desert Challenge – fires up this weekend and Team HRC will be right there… read more. Countdown to the new rally season. It’s ten weeks since the Dakar 2015 ended and Joan Barreda is now all fired up and ready to get down to business with Team HRC at the Abu Dhabi Desert Challenge. Back to the grind! Joan Barreda is a man on mission: to… read more. Document to download Germany 17/06/15 09:20 Russia 17/06/15 15:00 Ukraine 17/06/15 15:00 Estonia 17/06/15 15:10 Latvia 17/06/15 15:10 Estonia 18/06/15 08:50 Latvia 18/06/15 08:50 Russia 18/06/15 08:55 Ukraine 18/06/15 08:55 Mexico 18/06/15 19:00 Latin America 18/06/15 21:00 Denmark 19/06/15 14:00 Hungary 19/06/15 15:00 Czech Rep. 19/06/15 15:00 Slovakia 19/06/15 15:00… read more. 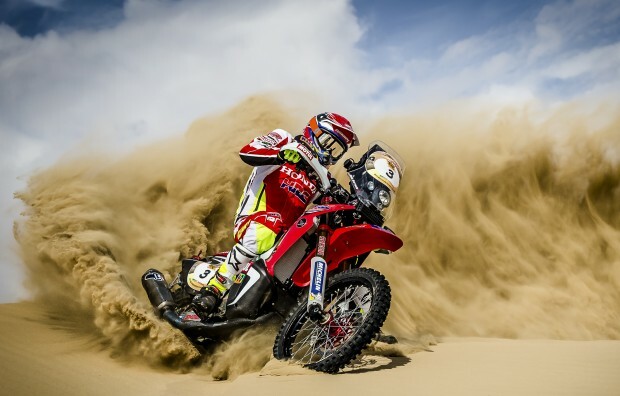 Seven stage victories, leaders for half the rally, overall runner-up place for Paulo Gonçalves and ninth spot for Laia Sanz, add up to a more-than-positive final report-card for Honda and Team HRC at the Rally Dakar 2015. The team will be back next year to win. Just one day after… read more.